Roos Island, Victoria Park, Kitchener. 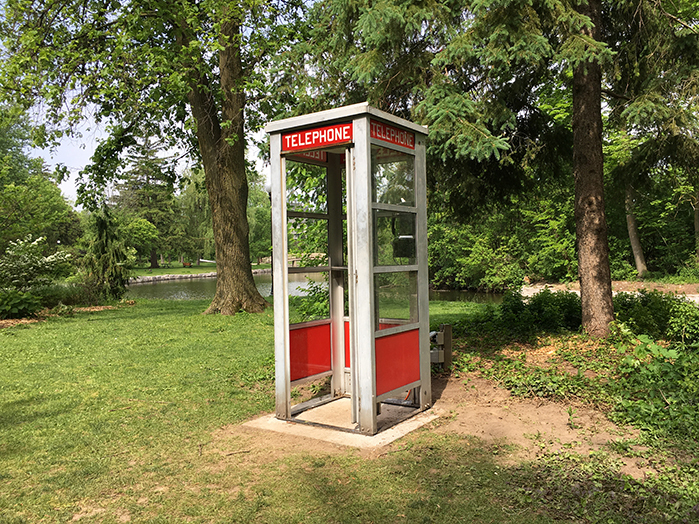 David Jensenius has a phone booth with a rotary pay phone in Victoria Park. When someone dial’s 1 to leave a message they are prompted with a provocative question. When dialling 2, a random answer is presented without context of the original question. The phone is hacked by Brent Marshall and features the vocals of Anne Rhodes and others.